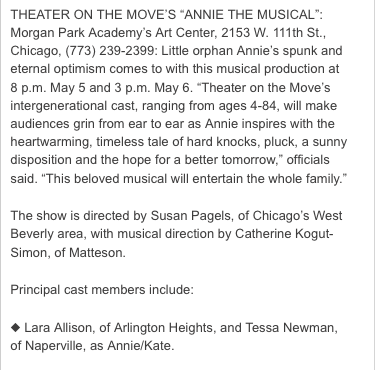 Lara in "Annie" - What's going on in Mr. Solarz' Class? 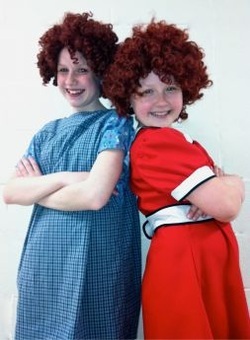 Our Very Own Lara stars as Annie in Annie - the Musical! 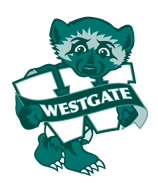 So many Westgate Families in Attendance! Special thanks to Mallory's mom for this picture! 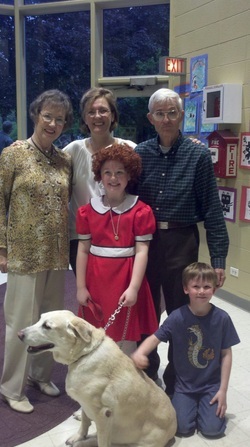 It was a packed house today to watch Lara play Annie. She did an unbelievable job - I was so proud of her! The audience gave her a standing ovation at the end!